March/2018 The Royal Spuds released their new single, 'A Man' on Friendly Folk Records. It has been a busy and occasionally turbulent year for the band and management partner, My Music Matters-MT, as band direction shifts began near the end of 2017 with internal changes regarding delegation of tasks. It is with heavy heart we announce the end of management for our very first ever Folk band, The Royal Spuds. 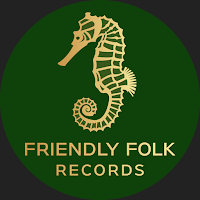 All of our artists at Friendly Folk Records and My Music Matters-MT are on a 1-year contract, as promotional and management needs of artists are always in a state of flux and progression. Time was right for the Spuds to try a new path. We wish them all the best! The Royal Spuds will perform the three festivals they are booked at via FFR Bookings, and as of 31/March the band will give self management a try. * Note: The Royal Spuds single, ‘A Man’ will remain in exclusive distribution via Friendly Folk Records for one year. This digital version assigned to FFR Catalog Number remains permanent property of Friendly Folk Records, however, from 28/February/2019 it is no longer exclusive and can be re-released by the band in any fashion they choose with a new catalog number. Download 'A Man' by The Royal Spuds, HERE!